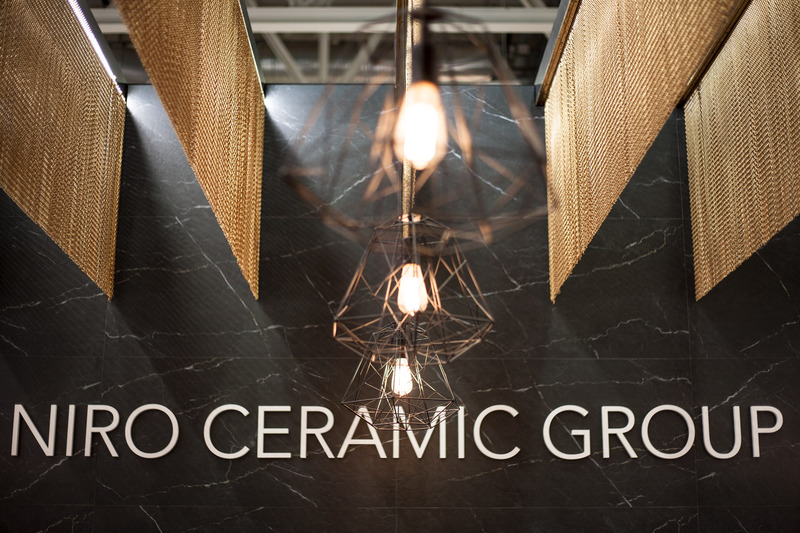 We have been working with Niro Ceramic Group for many years and coming back to Bologna’s fair together is always special for all of us. 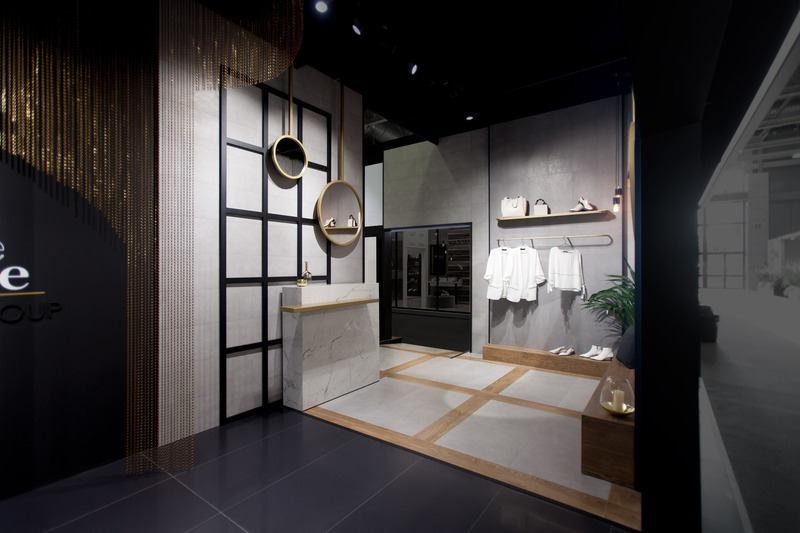 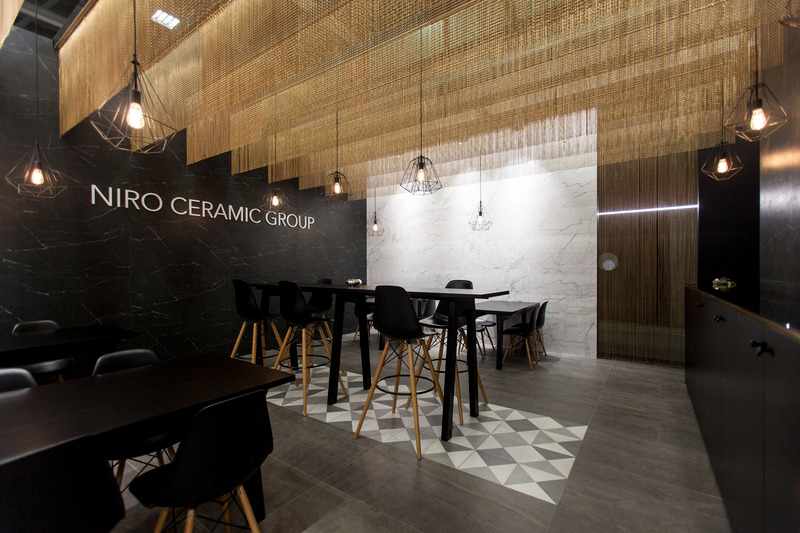 Niro’s design concept has been developed since Cevisama fair. 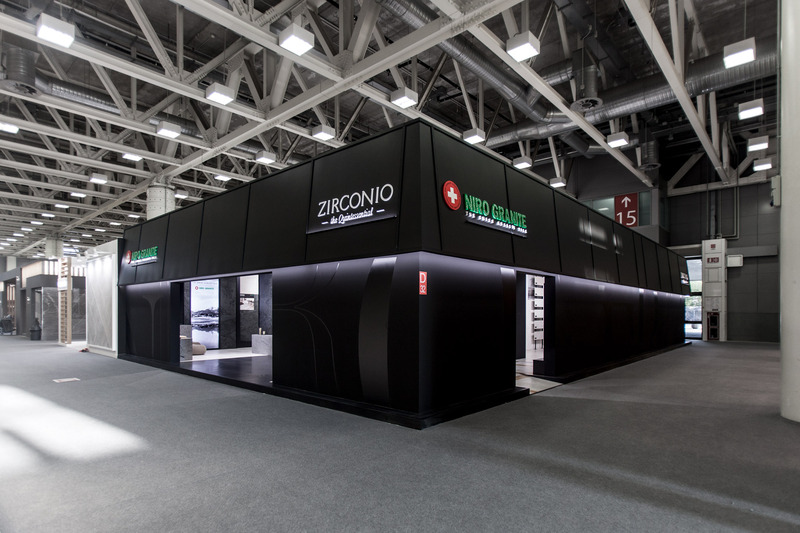 The exterior maintains a minimalist and conservative style where we find the elegance in the details: a cantilevered roof and black on black combinations. 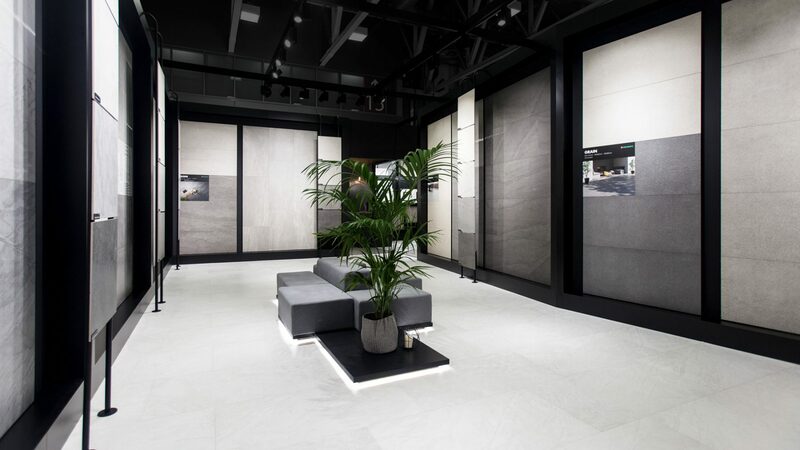 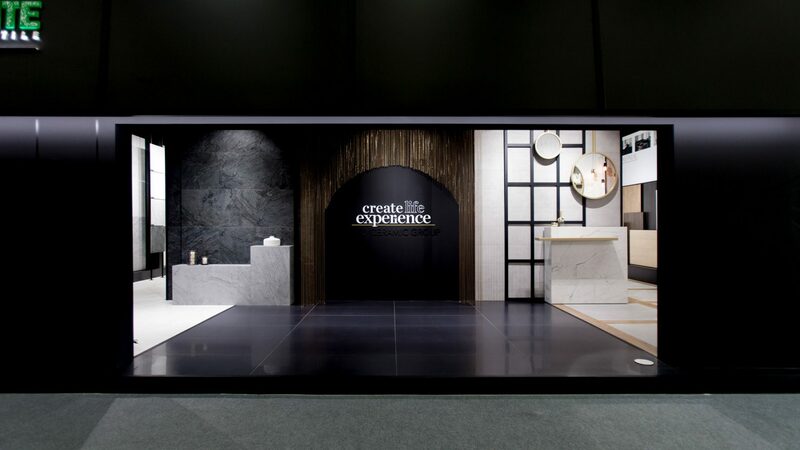 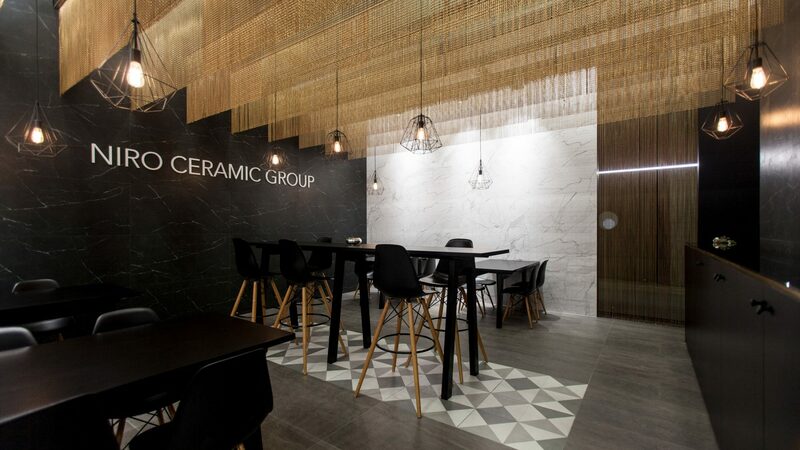 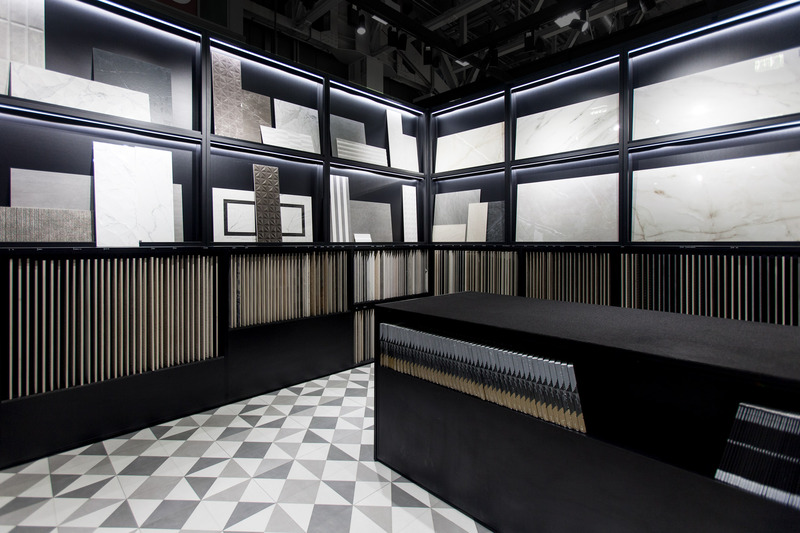 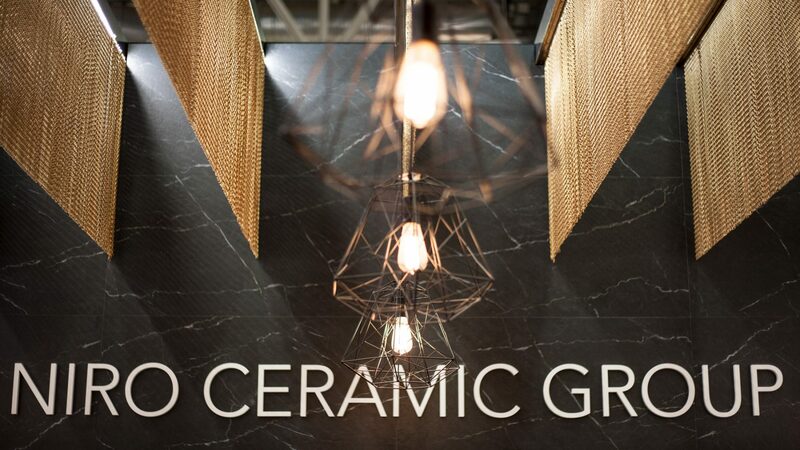 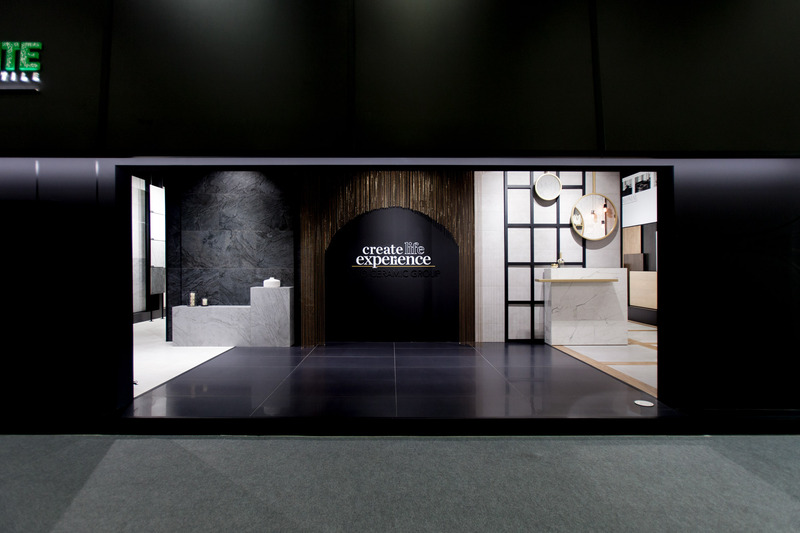 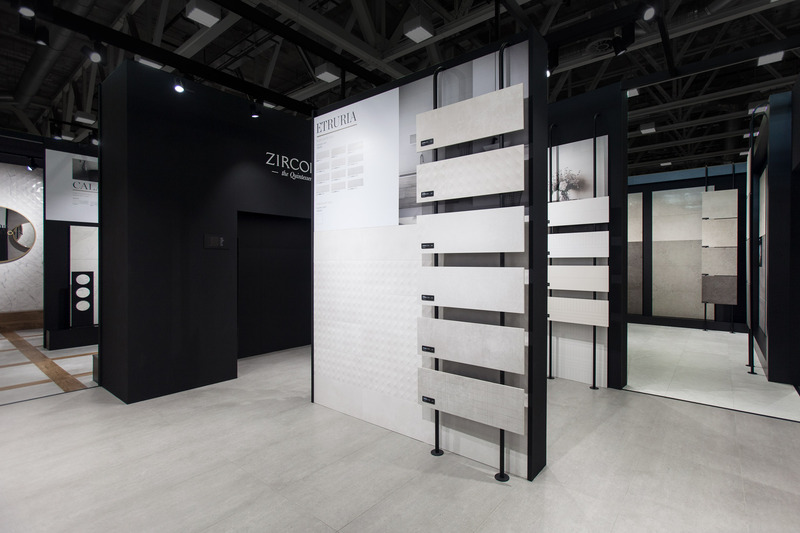 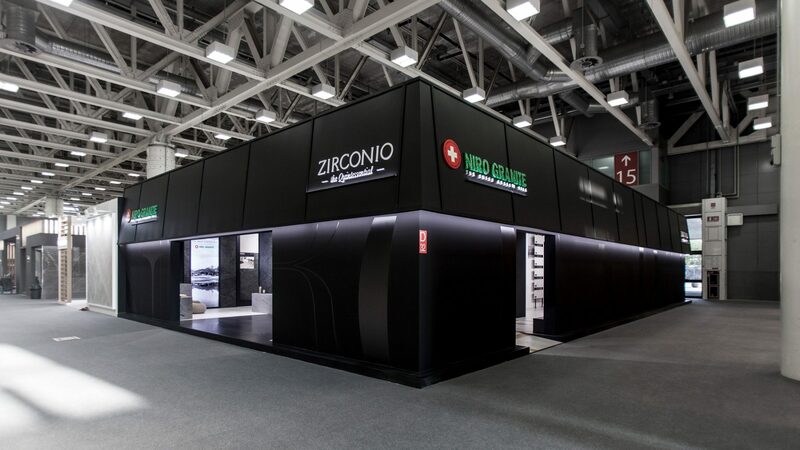 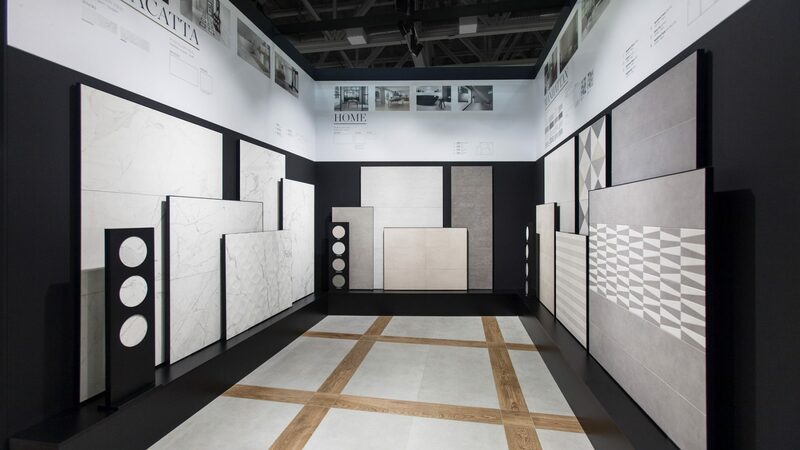 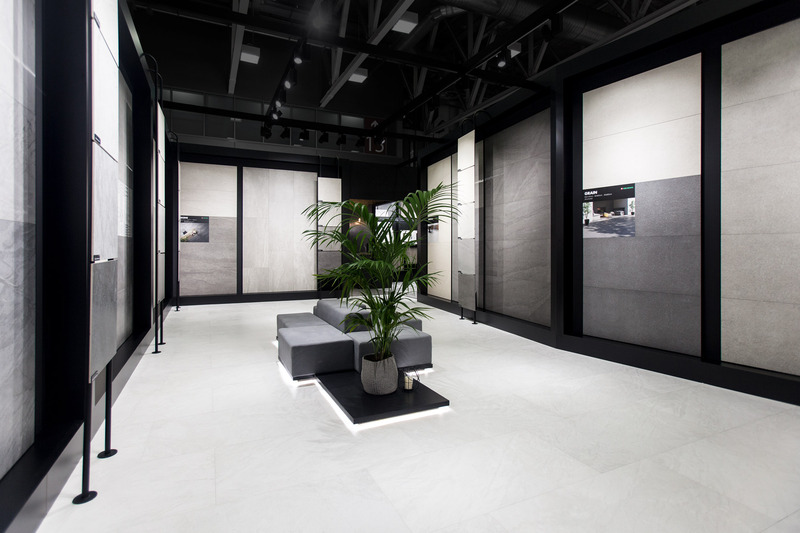 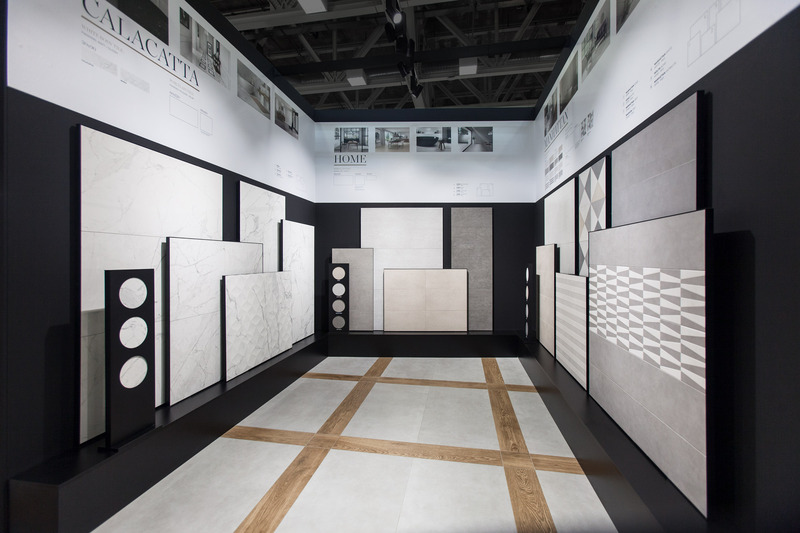 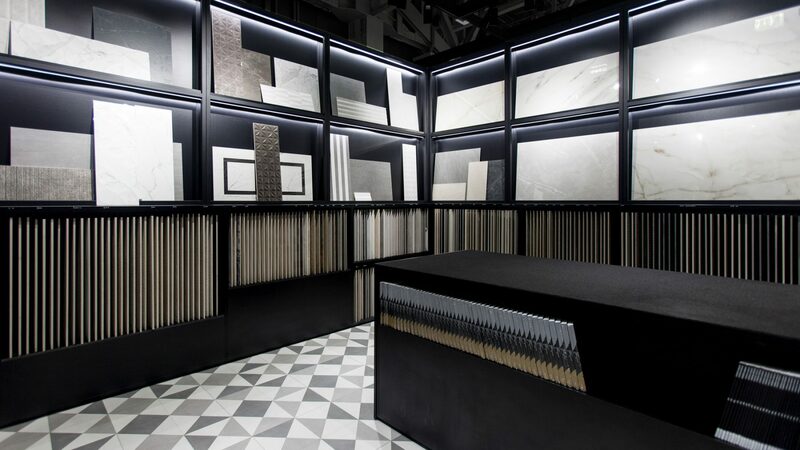 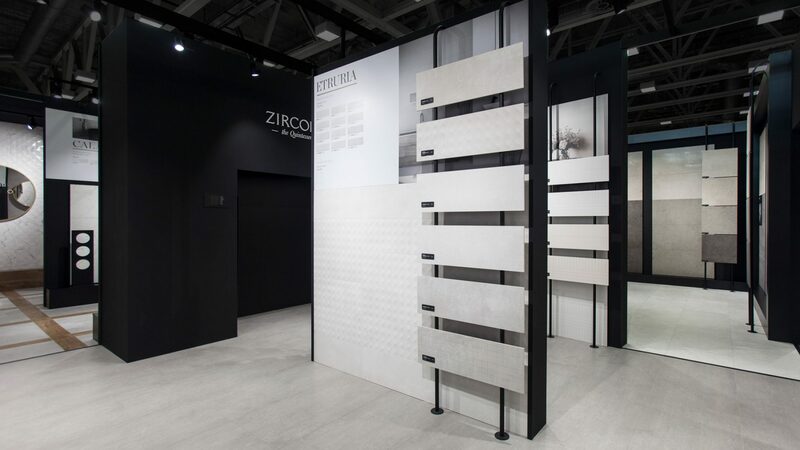 The stand presents a division between the two exhibition spaces of Zirconio and Niro Granite, but it also includes common areas as the meeting space and their popular “Ceramotech”, a ceramic library which shows a selection of their most popular and timeless products. 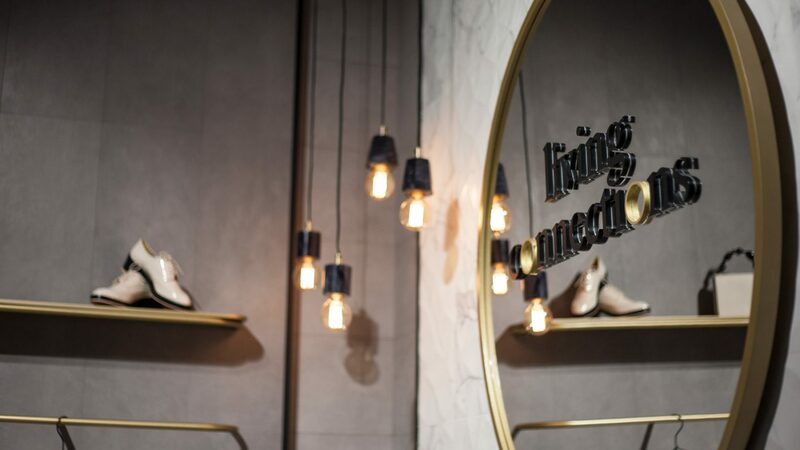 This year Zirconio presents the campaign “Living connections” for their new collections. 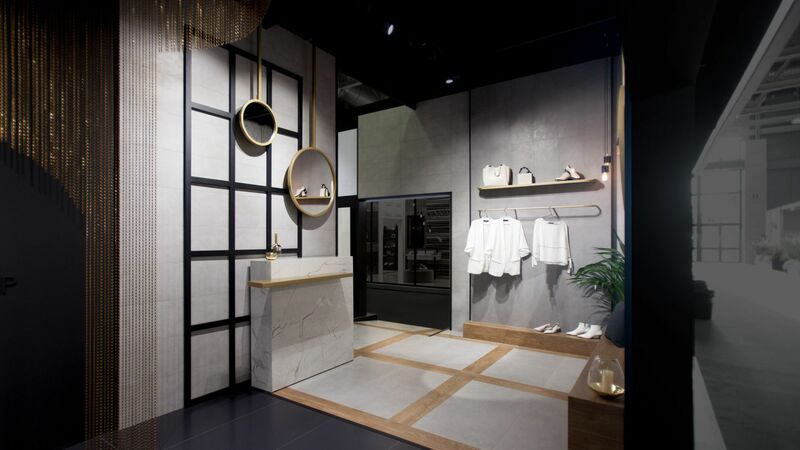 A genuine and innovative proposal with a combination of marble, cement and wood presented all together. 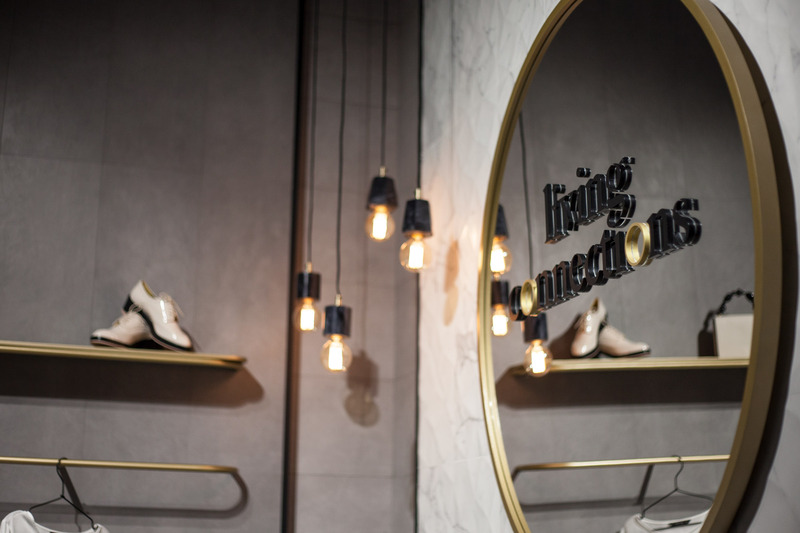 Pure style. 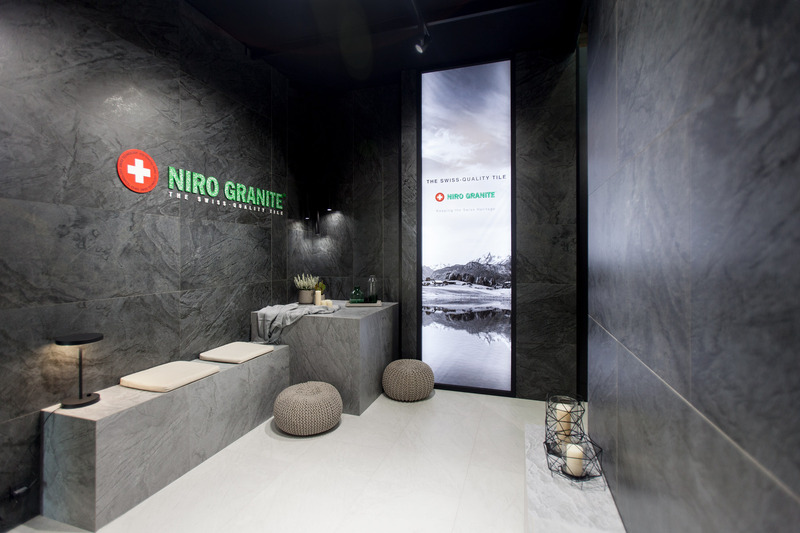 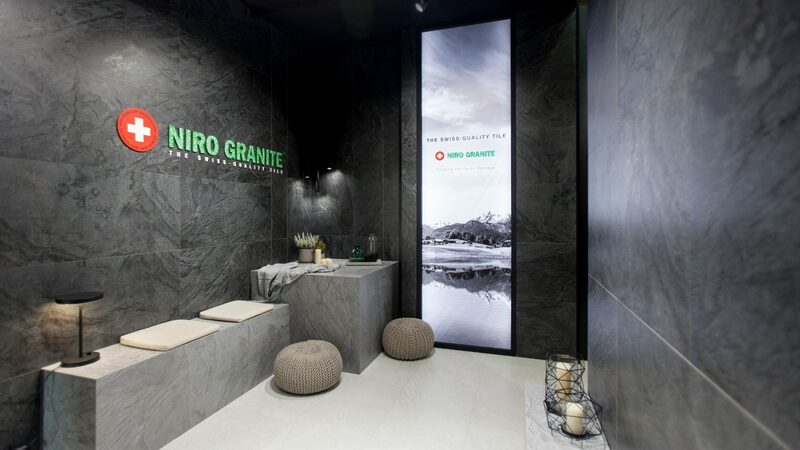 For Niro Granite we created a space to present their pavement collection on a massive scale; a central element gives personality to the meeting space.